Since Little Rock is in central Arkansas, you're in the middle of it all. From here you can get to many different attractions and cities. Little Rock is the perfect central location for your vacation. You can get about 300 miles on one tank of gas. We consider a day trip to be any location that only takes one tank of gas. That means you can get there in 150 miles or less (which leaves you some gas in the tank for the trip back). Please note that the times and mileages are estimates and will vary depending on where in Little Rock you start, which route you take and how often you stop. 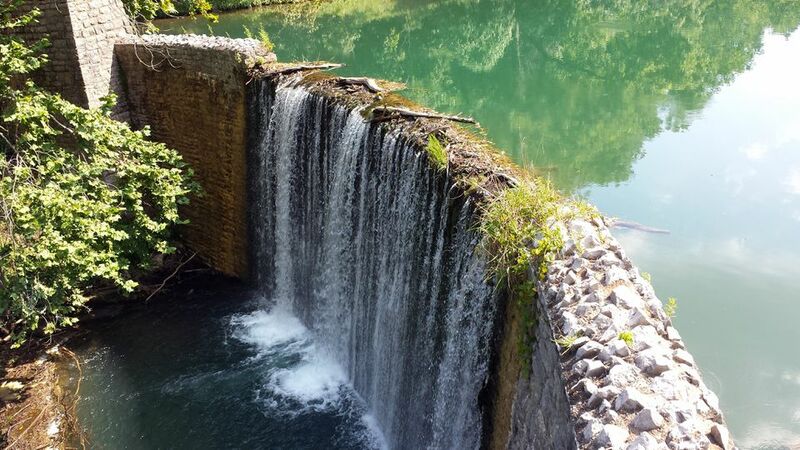 Blanchard Springs is a fun cavern with railings and a paved surface to walk on. Two trails are available daily. Even the easy trail is quite a walk, but kids do enjoy looking at the bats and cave formations. The Buffalo River National Park is a popular spot for all kinds of outdoor recreation including white water rafting, kayaking, fishing, and hiking. It's also a great spot for wildlife viewing. Bentonville is the home of the Wal-Mart visitor's center, Crystal Bridges Museum, the Scott Family Amazeum, and Wal-Mart corporate headquarters. Because Wal-Mart headquarters brings in learned and wealthy guests, this area has become a cultural destination in Arkansas. Crater of Diamonds State Park is the only diamond mine in the United States were members of the public can dig for gems and keep what they find. Eureka Springs is a quaint little town and a popular honeymoon spot. You'll find Turpentine Creek Wildlife Refuge and lots of quaint shops. Fayetteville is the home of the Arkansas Razorbacks and Arkansas State University. Hope was the birthplace of Bill Clinton and Mike Huckabee. Hot Springs is the home Oaklawn, a lot of fun family attractions, Garvan Gardens, and Magic Springs. It's a popular destination for food, fun and unusual attractions. They also have the hot springs and bathhouses. Visit Graceland, the Memphis Zoo, the Civil Rights Museum, the Pink Palace, and more. Aside from being a beautiful state park, Mount Magazine is the highest point in Arkansas. Petit Jean is a scenic state park and lodge with lots of hiking and other outdoor recreation. Pinnacle has many events at the visitor's center and several nice hikes. This elephant sanctuary has African and Asian elephants and is open to the public on select weekends. How Do I Remove My Junk in Little Rock, AR?